Strawberry season is almost here in Portland but in the meantime I’ve been buying those pretty but not very flavorful strawberries at the store. Nothing compares to a fresh, ripe, right out of the field Oregon berry! Yum! I can’t wait! 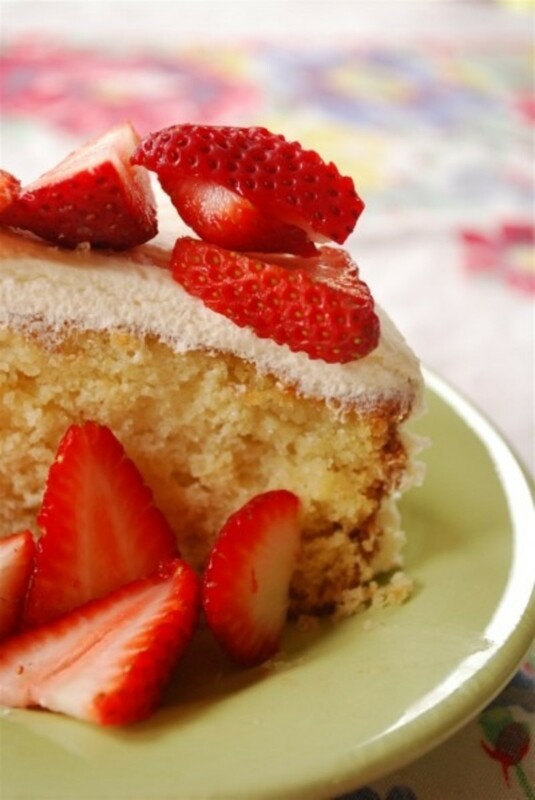 When you think of strawberries and dessert I bet the first thing that comes to mind is strawberry shortcake. A very worthy use of strawberries but I have to admit not my favorite. I have yet to find a shortcake that I’m really crazy about. Most of the ones I have tried have been fairly dry. 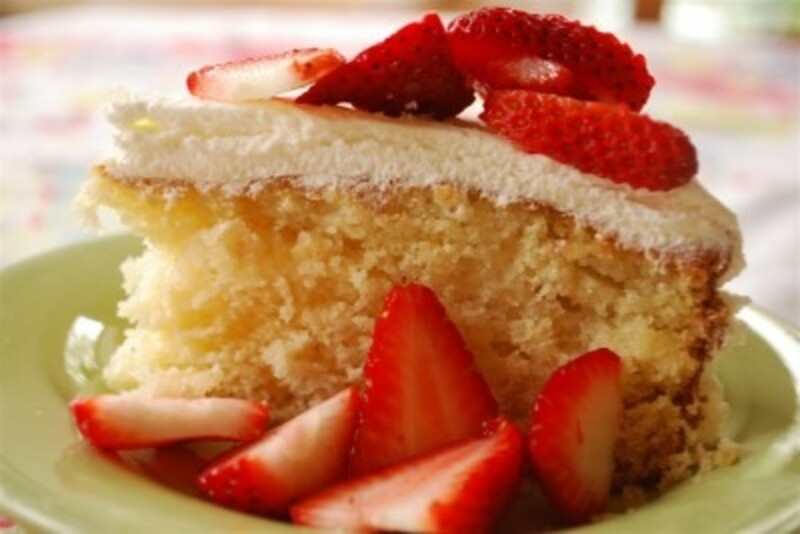 May I suggest an alternative to shortcake – buttermilk cake! 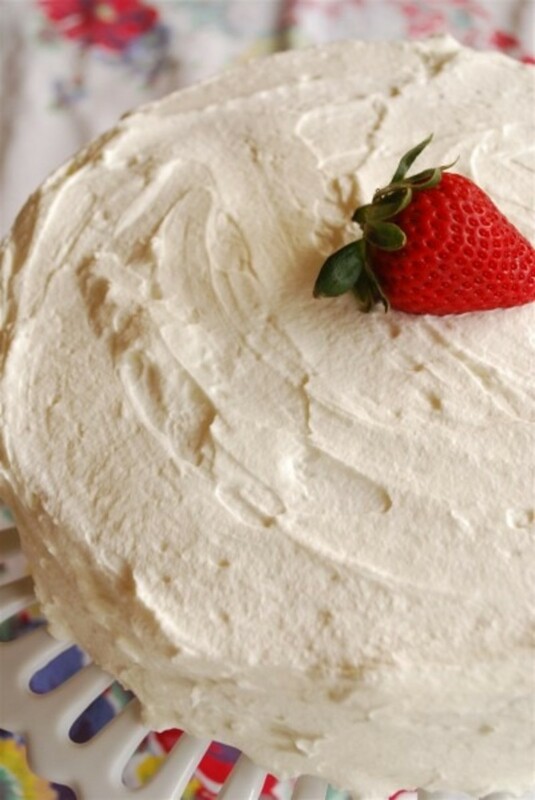 Buttermilk cake is a nice light, moist cake with a whip cream frosting. The perfect topping for it is of course, fresh strawberries! Made in a spring form cake pan there is no need to mess with layers and filling in between. The recipe calls for cake flour which makes for a nice light cake but it also gives a cake a tendency to fall. I didn’t have that problem with this cake but have had in the past. 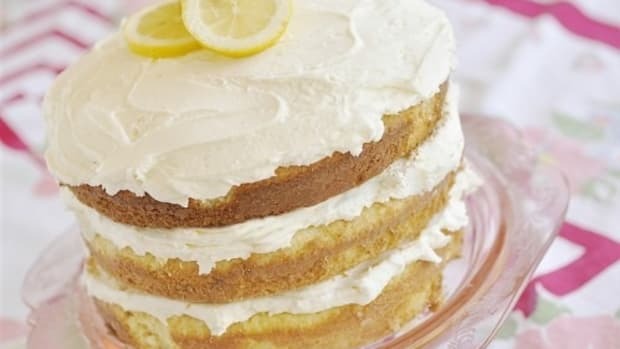 If the cake does fall just fill in the hole with lots of the whip cream frosting – yum! One tip to prevent a cake from falling is DO NOT open the oven during baking! 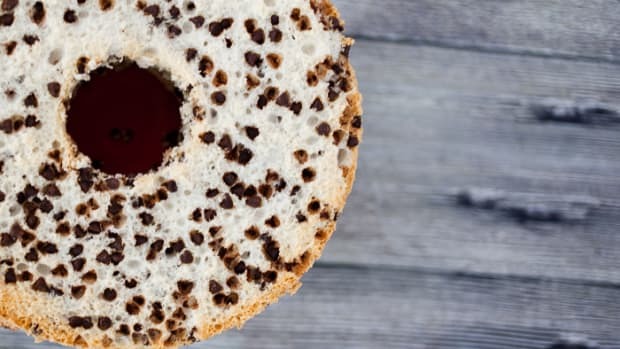 After you remove the cake from the oven you will poke holes in the cake (I used a bamboo skewer), be sure and poke lots of holes – you want the simple syrup to have lots of places to ooze down into – the more the better! This is what makes the cake so nice and moist. 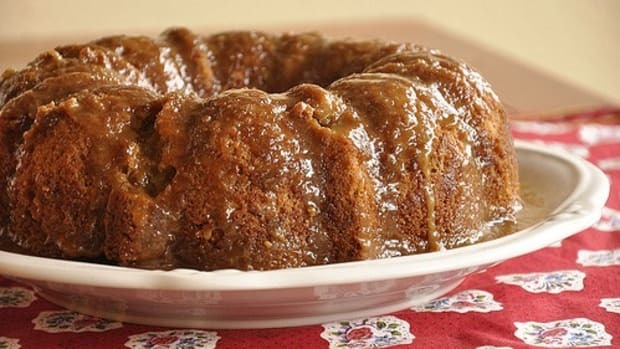 Be sure and poke holes around the outside edges too and be sure the cake is warm when you pour the syrup over the holes. Let the cake sit for a few minutes after so that liquid has plenty of time to be absorbed into the cake. Turn oven to 350 degrees. Spray a 9 inch spring form pan with non-stick spray. Line the bottom with a 9 inch round of parchment paper. Spray the paper. In a medium bowl sift together flour, baking powder, baking soda and salt. Set aside. In a another medium bowl, beat together butter and sugar until light and fluffy. Add in vanilla. Add eggs, one at a time, beating well after each addition. Add the flour mixture in three additions, alternating with the buttermilk ending with flour. Pour batter into the prepared pan and smooth the top. Bake until golden, about 40-45 minutes. Cool in the pan on a cooling rack for 20 minutes. With the cake still in the pan, poke holes all over the top with a toothpick or bamboo skewer. Slowly and evenly pour the simple syrup over the top of the cake. Let cake sit for an additional 20 minutes to be sure all the syrup gets soaked in. Remove cake from pan and invert onto a cake plate. Spread whipped cream all over the tops and sides of the cake. Refrigerate until serving time. In a small saucepan over high heat, combine water and sugar. Bring to a boil and remove from heat. Sugar should be dissolved. Pour clear syrup into a small pitcher and set aside to cool completely. In a large bowl, pour in heavy cream. 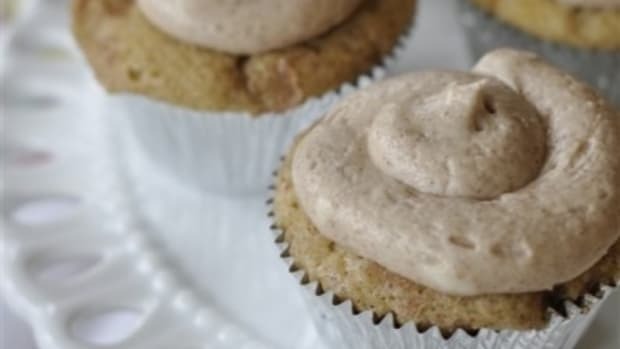 With mixer on medium high, beat cream until frothy.Add in powdered sugar and continue to beat until cream is thickened and holds a stiff peak. Spread whipped cream around the sides and on top of the cake. Keep refrigerated until serving. I love any excuse to bake a cake. One of my favorite things to do is eat out! Fortunately Portland has an amazing selection of locally owned restaurants. One of my favorite fall combinations – apple and caramel. 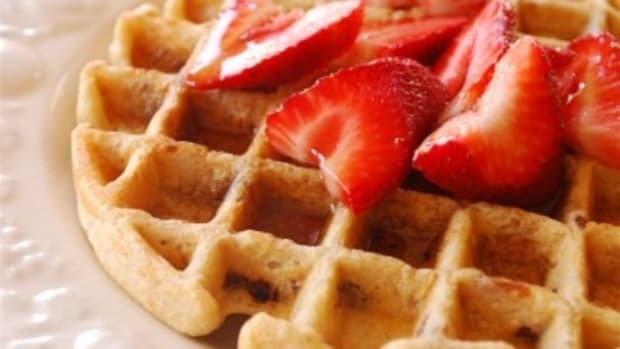 Whole Wheat and Oatmeal Waffles. 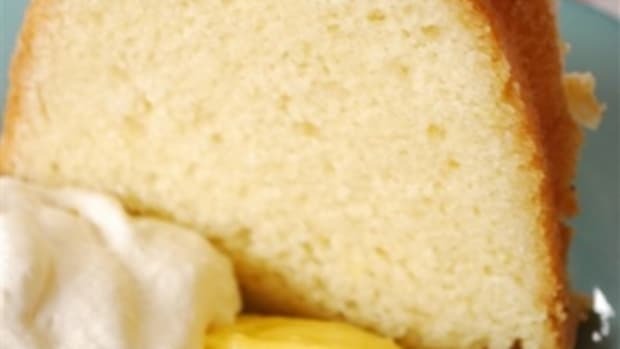 A southern woman’s pound cake recipe is a trade secret, her calling card in social circles. Move over traditional chocolate cake. 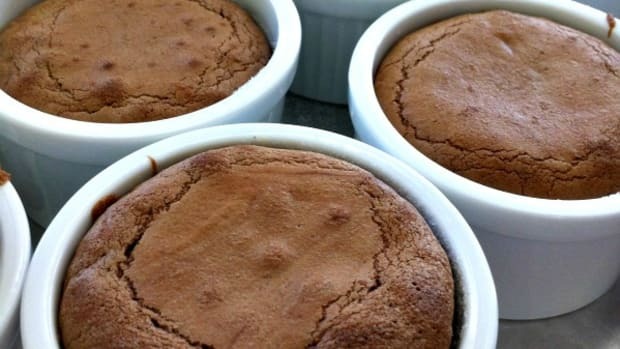 The warm, gooey Chocolate Lava Cake is the show-stopping birthday dessert at our house. When you ask the kids what kind of cookies they want you to bake, what is the answer at your house? 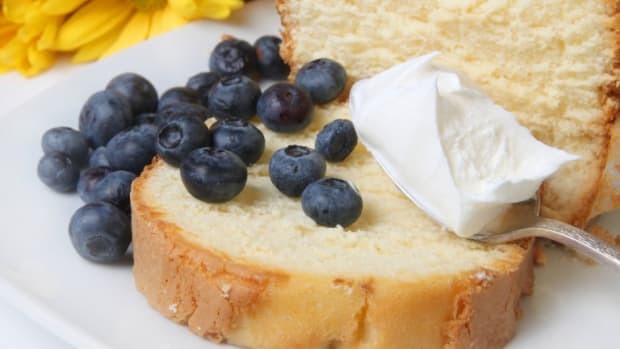 Angel food cake is heavenly.